Happy Halloween! It's that time of year where those that love to dress up and eat candy are very excited! 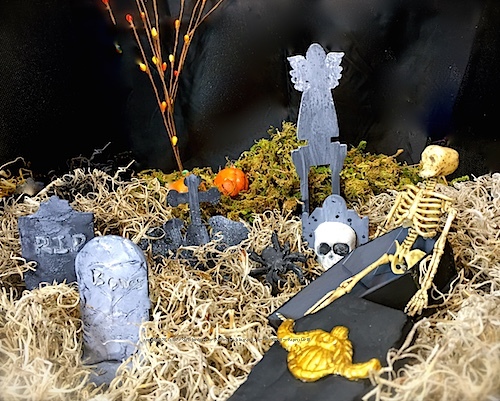 The Design Team over at Creative Paperclay® Modeling Material is excited too, especially in sharing their projects. 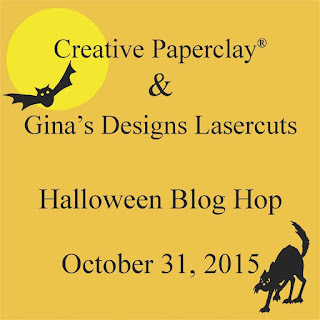 We got the opportunity to partner up with Gina's Designs to make this Spooktacular Event for you so enjoy! 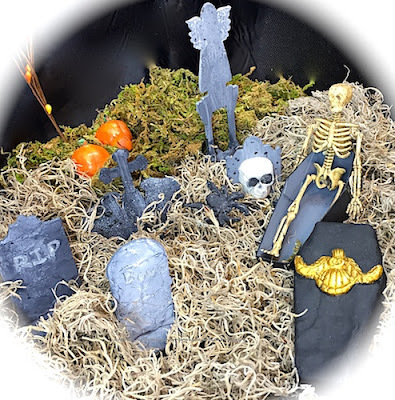 To make this scene I covered some chipboard base tombstones and coffin from Gina's Designs with Creative Paperclay®. 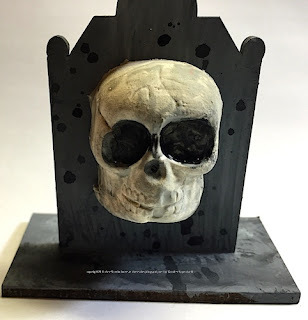 To add colour to the "stones" I blended black and white paint into different shades of grey and painted each one. For the coffin I used black paint for the most part, and some gold for the medallion. 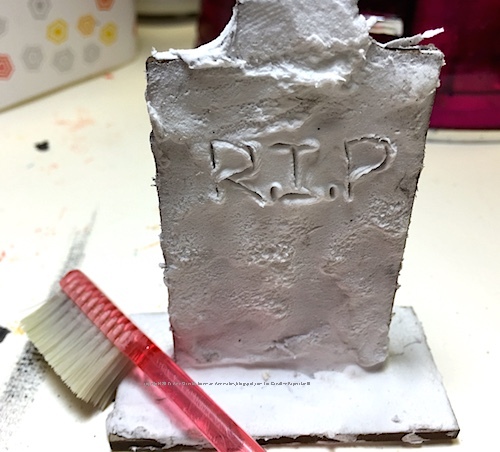 The edges are coloured with some Creative paste. 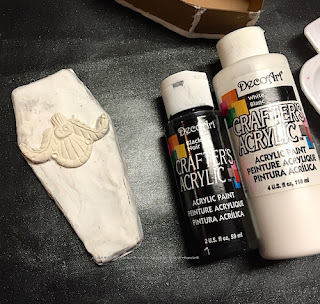 To make the skull, spider, pumpkins,and emblem on the coffin I used Creative Paperclay and molds. 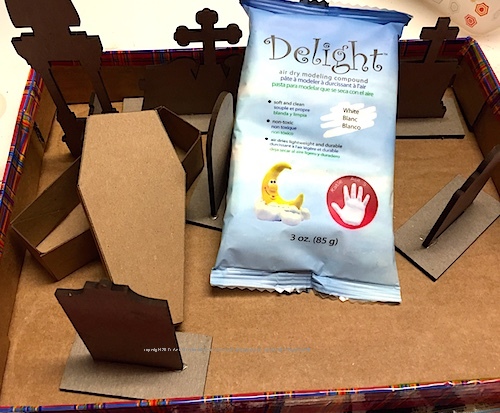 For fun I sat a plastic skeleton in the coffin. Thank you so much for visiting now go Trick or Treating before all the good candy is gone!! Wait, when you come back check out everyone's projects. by clicking here and enter for a chance to win prizes!! !